If you have a business it is a good idea to maintain a blog and WordPress is the perfect choice for the Blog. But that’s not all, WordPress is also a good option for making the entire website, since it is also a very good content management system. WordPress is open source software which means many users have the ability to share developing time, and use code that already exists to save time. In addition to which since WordPress is very popular there are already a lot of resources and add-ons available. You do not need to be a highly skilled programmer to setup a WordPress website. The makers of WordPress have kept it very simple; the installation being one of the simplest processes. Further setting up the additional information on the website as per personal preferences is also not very hard. WordPress is not only simple but it is also fast. The number of steps involved to complete a task are very few. Hence this makes it less complicated. It has been designed to be extremely SEO friendly. In addition to which there are several plugins that you can install to optimise your website and make it even more SEO friendly. WordPress may be easy to install with a low learning curve but that doesn’t mean it not powerful. On the contrary the possibilities are endless when it comes to what you can do with WordPress. From using existing plugins to enhance the functionality to creating your own plugins as per your requirements, the sky is the limit. The support level for WordPress is also very high, hence if you get stuck with something you are likely to find the answer from some forum by either searching existing posts or posting your own question. The Plugins available for WordPress are very easy to install. Besides which WordPress makes use of widgets which makes all the more easy to beautify the website. Depending on you layout you can place widgets anywhere, the header, sidebars, or the footer. It is even possible to place them in the content section. A website one built may be around for a long time and hence there are bound to be changes or updates in matters of security and other issues besides plain fixes to tweak the software. WordPress provides these updates for free, further more if you WordPress websites has been designed and installed correctly it will automatically update itself without you having to do anything. Website performance get become an issue if you install too many plugins and are unable to optimise the website in an appropriate manner. WordPress is a very robust content management system, however the same cannot be said for the ecommerce features. The ecommerce features on WordPress are not very strong and hence it is always better to use a special eCommerce open source package to do the job. The fact that it is open source has many advantages however it also has several disadvantages. Being open source it is easy for the hackers to figure out how to break your website and find loop holes if your programming code is not up to the mark. There are several ways to counter this, however not everyone is successful in avoiding an attack. Thus WordPress is very good open source content management software on the whole which has come a long way from being just a blog. In addition to which the number of plugins available for WordPress are quite high and free as well. 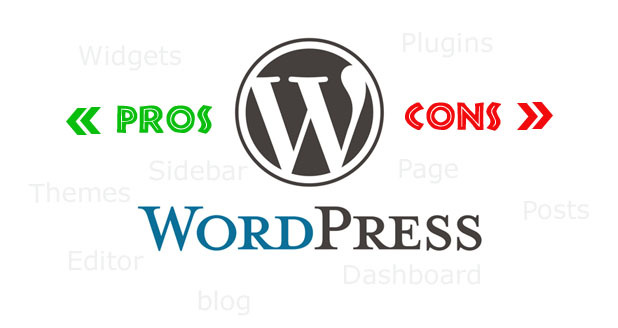 Hence with WordPress you can have enhanced functionality by simply installing a new plugin. WordPress is constantly gaining in popularity. With more number of people opting to make their websites in WordPress. Thus it helps if the developer knows how to plug all the loop holes and develop the website to as future proof as possible. Alakmalak has been developing websites since a while and there have been several trends changes in website design over the years. This makes the designers well prepared to deliver new, creative and innovative designs to our clients. Besides which their development team is more than capable of handling some of the most complex projects and getting them right. Are you ready to make your CMS website with WordPress. Hire WordPress Developers India with Alakmalak today! Which One is Good For You PrestaShop or ZenCart?